The Adam Equipment LBX 30 Latitude compact bench scale has a capacity of 65 lbs (30 kg) with a readability of 0.01 lb (5 g) and a 9.6 x 7.1 inch pan size. 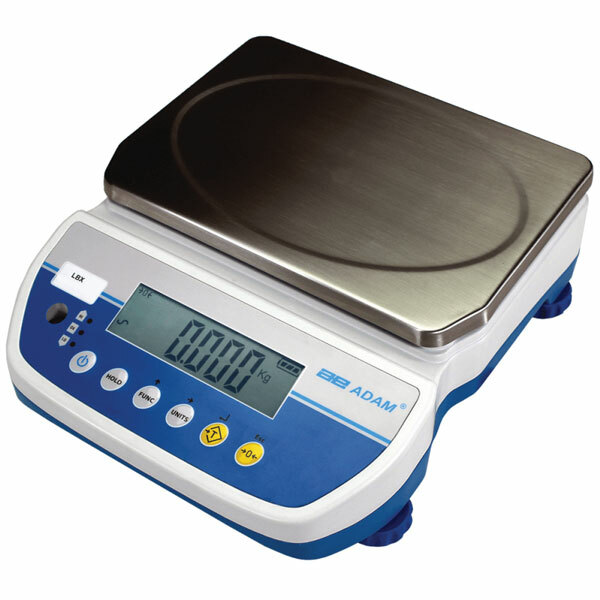 The new Adam Equipment Latitude series of compact bench scales replaces the LBK series and adds great new features to extend usability. With intuitive operation, Latitude compact bench scales deliver excellent value for quick, basic weighing, checkweighing, and counting needs. Latitude scales feature amber, green and red LEDs to indicate if a sample is under, within, or over the preset limits. Latitude is ideal for catering, office, production, warehouse or field use, as it is powered by the included AC adapter or internal rechargeable battery. A fully charged battery operates for an impressive 240 hours, so you don't have to worry about losing power. For added flexibility and convenience, you can also operate the Latitude using any USB power source.